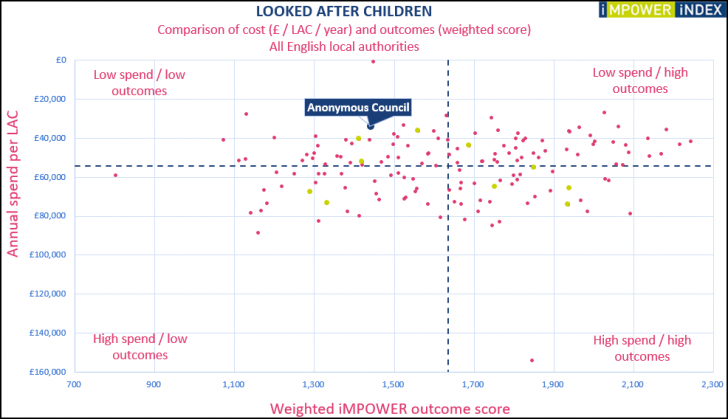 This module of the IMPOWER INDEX analyses local council Children’s Services Departments’ performance on outcomes and spend in relation to Looked-After Children (LAC). 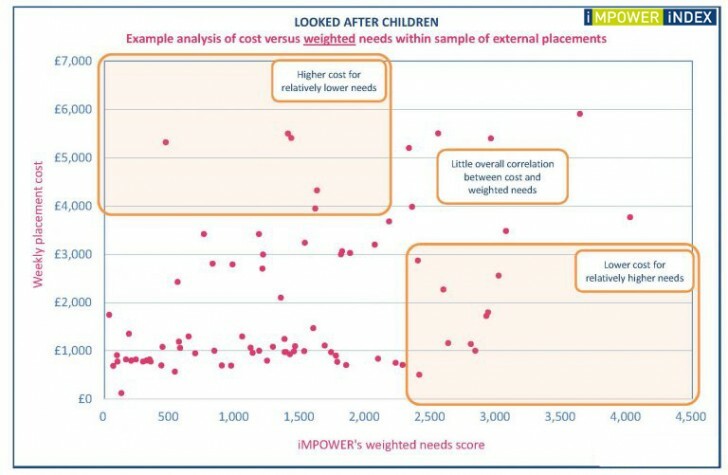 It is one of the tools used in our Valuing Care programme, which strengthens the links between children’s needs, the outcomes being pursued, and the resources available. While opinions vary on the nature and relevance of these domains, they act as a useful catalyst and proxy for assessing how well each child can reach their full potential.